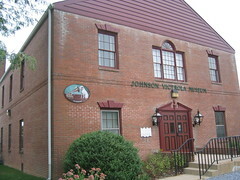 The tour guides were fabulous and really care about the museum and the topic. The downstairs is filled entirely with Victrolas from the very beginning up until the bitter end where they tried to incorporate the radio. The tour guide explained each one. The great part was unlike other museums, they actually played the Victrolas for you, so you had beth a visual and audio education. We were eagerly anticipating the exhibit upstairs of everything "Nipper" and we weren't disappointed. 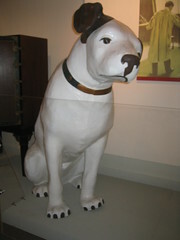 Nipper is displayed in every size imaginable. The tour guide let us snap photos of all of the RCA collectibles and filled us in on the man who collected everything. One man's obsession with RCA and the Nipper dog make this definitely worth a stop if you're in Dover. You've probably haven't seen anything like it.